Hungarian Prime Minister Viktor Orban has called allegations he wants to close a university funded by US billionaire George Soros unfounded, as the EU opened a legal case against Hungary over a controversial new higher education law. 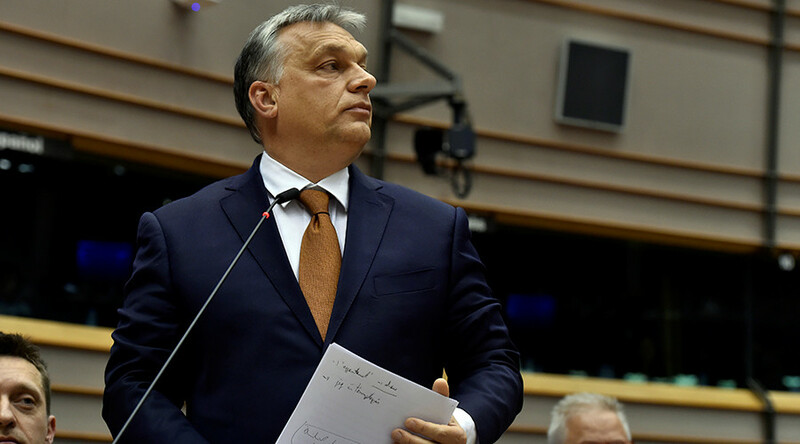 Orban appeared before the European Parliament on Wednesday to address critics who claim the new law tightens restrictions on foreign-backed institutions and is aimed at closing the Central European University (CEU) in Budapest which is bankrolled by Soros. Orban did, however, accuse the CEU of “cheating” because it issued diplomas accepted both in the US and Hungary, giving it an unfair advantage. And although registered in New York, it has no campus there. Orban also took the time to criticize both Soros and the EU, calling the billionaire a “financial speculator” and saying that he strongly disagreed with his promotion of a more open immigration policy. “Because of him, millions have lost their money so that he can profit,” Orban alleged, adding that while Hungary’s commitment to the EU was "not questionable", it was unhappy with the status quo and wanted “reform”. But Orban’s words did not seem to sway the EU delegates, as European Commission President Valdis Dombrovskis announced that the EU had sent a "letter of formal notice" to the Hungarian government. The Commission believes the new law could impede European rights to academic freedom, education and the right to provide services. The Hungarian government has one month to respond before any more decisions are made. CEU President Michael Ignatieff said he hopes the motion "will lead the Hungarian government toward rapid negotiations so that we can resolve this matter," Associated Press reported. — Pamela Moore (@Pamela_Moore13) 26 апреля 2017 г. 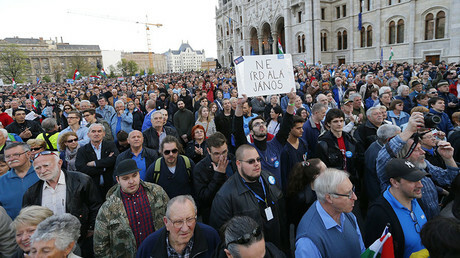 The new bill, which was approved by the Hungarian parliament earlier this month, sparked widespread protests by students and CEU supporters in Budapest. Orban has made no secret of his distaste for George Soros and his political activities, accusing him of undermining European borders and values by helping facilitate the flow of refugees and asylum seekers from the Middle East and elsewhere. — RT (@RT_com) 8 апреля 2017 г.
Orban himself received a grant from one of Soros’ foundations to study politics at Oxford University’s Pembroke College in 1989, which he has since pledged to repay.